DL1961 is a brand that dares to be different. Denim has long been a fashion staple in everyone’s closet. Let’s face it, most of us have built wardrobes around our favorite jeans. Trends have come and gone but denim is here to stay. DL1961 is a New York City based premium denim brand specializing in high performance, sustainably manufactured denim that always offers a perfect fit. Traditional denim production is considered to be one of the most polluting processes; DL1961 is on a mission to change that. DL1961 uses environmentally friendly fiber combinations that require half the dye, half the water and half the energy of more traditional denim production. As a result, they're able to produce sustainably crafted denim that’s designed to look better, fit better and be better for the environment than your average pair. WIN! Not only is DL9161 one of our favorite designer jeans brands for kids but they are also the denim of choice for comfort and fit of so many celebrities… Jessica Alba, Selena Gomez, Emmy Rossum and Margot Robbie, just to name a few. DL1961 offers designer jeans for kids in so many cuts and styles to choose from: classic and casual, vintage inspired designs, even tuxedo stripe. The outfit possibilities are endless. Check out our Pinterest board for inspiration and then visit us at www.yellow-turtle.com to buy the looks you love! DL1961 starts from scratch with fibers from the US and natural indigo dyes derived from plants. DL1961 is powered by solar energy and their own in-house power generation plant. Environmental Impact Measurement (EIM) software by Jeanologia monitors every piece of denim they make, tracking water consumption and dye usage. 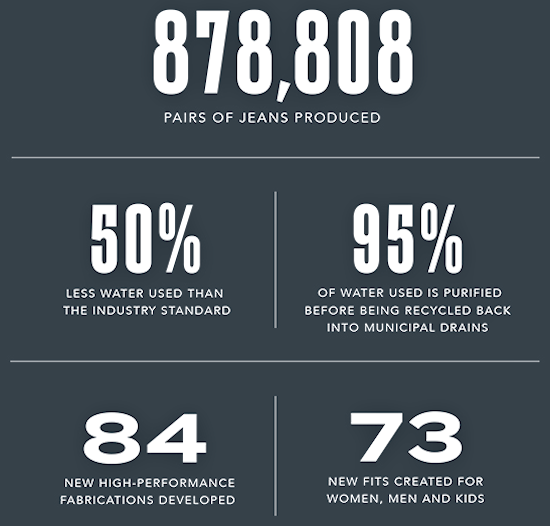 A traditional pair of jeans is made using 1500 gallons of water. DL1961 uses less than 10 gallons and treats and recycles 98% of it. DL1961 updated their packaging to a fully recyclable, compostable, and biodegradable kraft paper.